The SHARKBITE Kit is the only complete kit developed to address blast injuries. 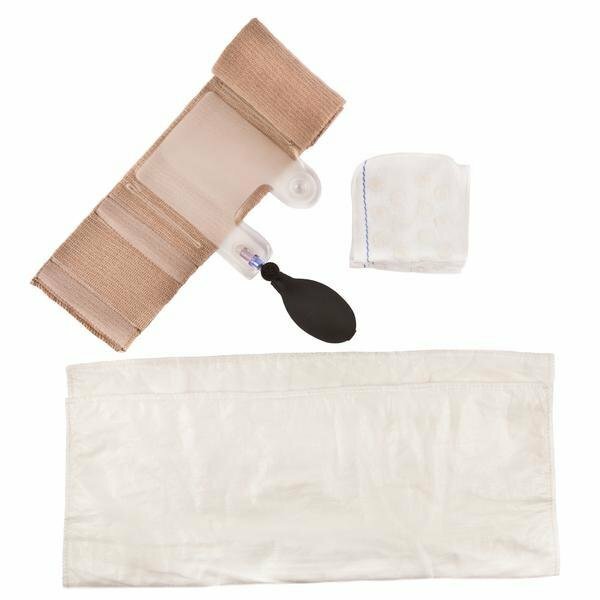 This kit includes AirWrap-XL, XGAUZE, RevMedx Trauma Dressing, and a plastic bag. Each component in the kit is multipurpose and can treat different blast injuries. Developed for the US Military, the SHARKBITE Kit enables medical personnel to control the injury quickly in order for the patient to reach further emergency care. Designed for the treatment of large blast injuries, bi-lateral amputations, large surface burns, and packing of large cavities. Includes AirWrap XL, XGAUZE, RevMedx Trauma Dressing and a plastic bag.